Home PCDIY Guides Which ASUS Z270 motherboard should I buy? The new processors are compatible with the 100-series platform by way of a firmware update and also with the latest 200-series chipsets, presenting users with an array of motherboards to suit various budgets. In fact, there’s so much choice that it’s likely to cause confusion. We’re here to help you wade through the options and make the purchasing decision easier. 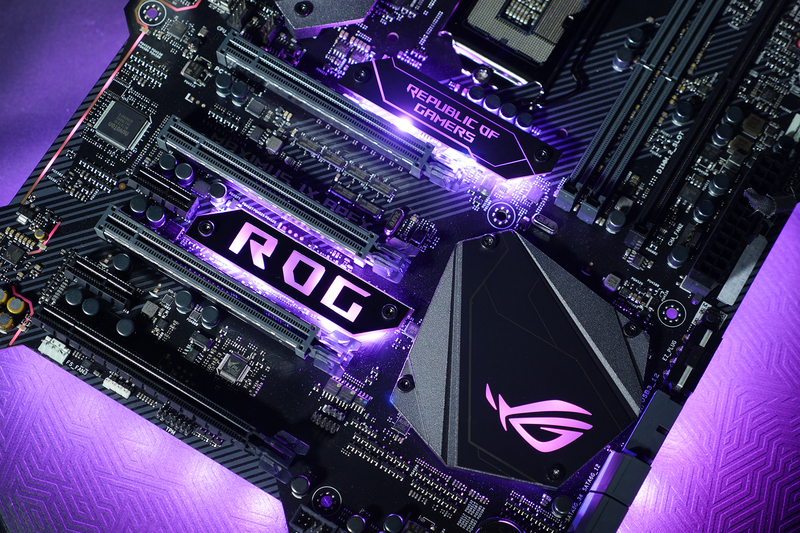 Widely acclaimed for offering the best firmware, overclocking, fan controls, and IO features, the ASUS 100-series motherboards offer a robust feature-set that’s suitable for daily computing all the way to full-bore enthusiast builds. However, the 100-series boards have been around for over a year now and as good as the ASUS feature-set is, there’s always room for improvement. The 200-series motherboards offer evolutionary refinements in all areas that made their predecessors the industry’s gold standard, as well as providing new features that raise the bar. 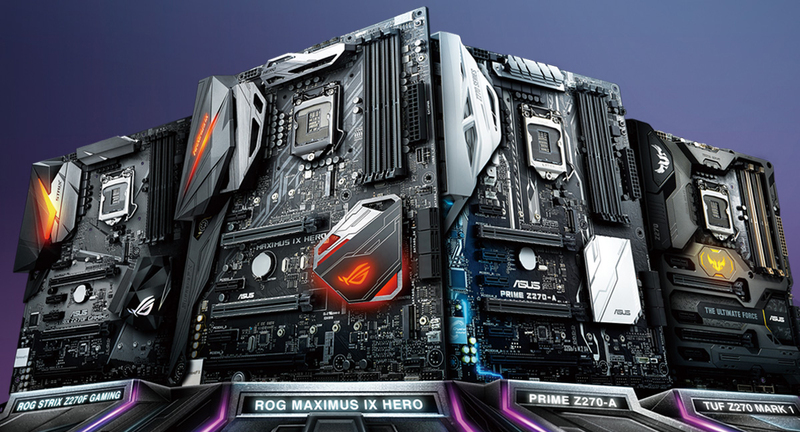 Split among four distinct series; ROG, TUF, Prime, and ROG Strix, each with a unique personality, this is the most comprehensive range of motherboards we’ve ever released. 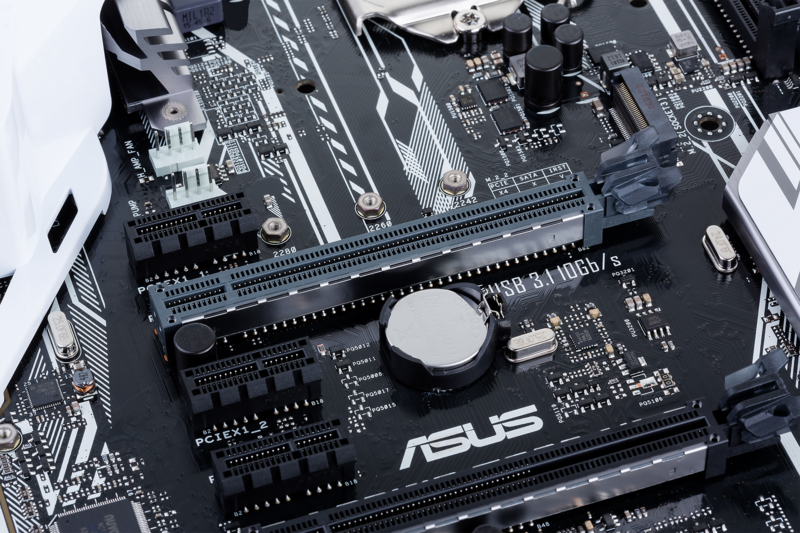 In this guide, we will take a look at the core features that apply to all ASUS Z270 motherboards, provide a high-level overview of each series, and then discuss the finer details that set each board apart. Before we get into that, it makes sense to quickly discuss what the Z270 chipset offers over its predecessor, the Z170. The backend DMI bandwidth is identical (PCIe X4 Gen 3), with a max theoretical bandwidth of 40 Gbps (32 Gbps effective, due to addressing overhead). There are changes on the front end of the chipset, though, with Z270 getting a total of 30 high-speed IO lanes, versus the 26 of Z170. Both platforms can reassign the same number of lanes to storage devices, but due to having fewer resources, enabling an M.2 X4 slot will cost you two SATA ports on Z170. In comparison, you can use an M.2 slot with a X4 PCIe SSD on Z270, without sacrificing SATA ports. Not a big change by any means, but one that adds a tad more flexibility for storage configurations. 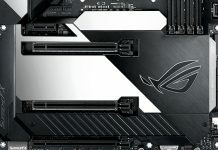 Like their predecessors, the ASUS 200-series motherboards offer a slew of cooling controls for system fans and water pumps, including full PWM (four-pin) or DC (three-pin) support, automatic calibration, a dedicated water pump header for AIO coolers, a high-amperage header for ultra-high-speed fans, and comprehensive control over each header via firmware or software. Each header also features a hysteresis function that allows you to control how quickly fan speeds change in relation to temperature, helping to avoid rapid fluctuations that can be annoying. Building upon that impressive feature-set, three-pin, and four-pin fans can be detected automatically by every onboard header, making first-time setup a breeze. For a few generations now, ASUS motherboards have allowed users to map each fan header to a variety of thermal sources. A fan can be set to react to CPU temperatures, one of the several onboard thermal diodes, or even an external temperature probe. While this is very extensive, the missing element in this arsenal is the ability to directly map graphics card temperatures (the GPU core diode) to chassis fan controls. 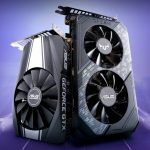 With fans referencing the CPU, onboard sensors, or even an external probe taped to the back of a graphics card, chassis fans don’t tangibly react to GPU-intensive applications, and that leads to elevated system temperatures when gaming. Given most PCs face a variety of workloads, the situation is far from ideal. Fortunately, things are about to change, as our 200-series motherboards have the ability to map GPU core temps (of supported ASUS graphics cards) to system fans, as well as the ability to assign up to three thermal sources to each fan header. And it’s done in a smart way; the firmware and software are coded to compare the temperature of each sensor and automatically react to the hottest one. So, whether the system is crunching its way through CPU or GPU-intensive workloads, everything is cooled efficiently. When you take a look at the total package, these features takes system cooling to a different level, trading blows with and surpassing the best standalone fan controllers on the market. One of the pain points with the previous generation of motherboards was the placement of onboard M.2 slots. The typical location was below the primary PCI Express slot; an area that is subject to limited airflow. High-performance M.2 drives tend to run hot when pressed for data, and high temps can negatively impact NAND endurance and lifespan. Therefore, placing high-performance M.2 drives under a hot graphics card isn’t considered best practice. That begs the question of why such a location was chosen by motherboard manufacturers? The answer probably lies in the simplicity of PCB trace routing, and to an extent, the fact that the storage industry was in a state of flux when the Z170 motherboards were in the development phase. Intel was gearing up to push the U.2 interface into the consumer space with their excellent 750 series, while Samsung was testing the waters with the (OEM only) XP941 series of M.2 drives. Technically, U.2 makes more sense from thermal, power, and capacity perspectives, so one would be forgiven for placing bets on the interface early on. 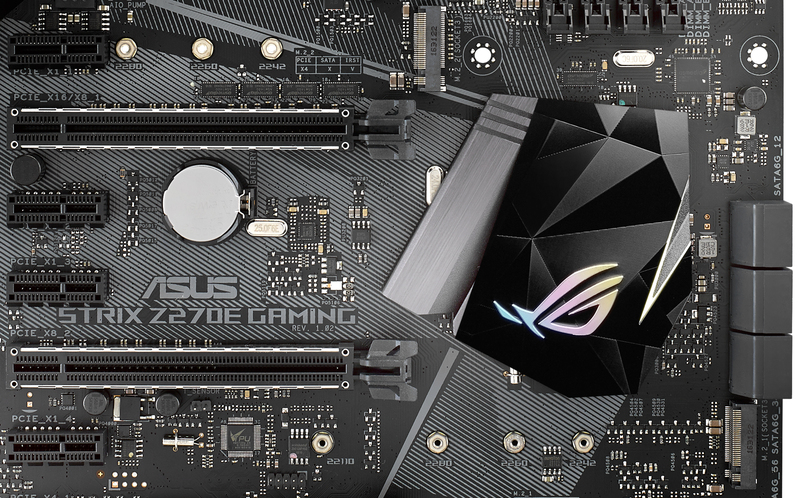 At ASUS, we decided to support both U.2 and M.2 on our Z170 boards – it was only logical to do so. However, even though the initial drives from Samsung were OEM only, with no consumer support channel, and performance handicaps in comparison to Intel’s 750, most enthusiasts gravitated towards the XP941. The demands were so high that it gave Samsung the impetus to make an assault on the consumer space with an improved M.2 drive. Thus, the M.2 based Samsung 950 Pro was born. Pricing was competitive, performance traded blows with Intel’s 750 series, there was a proper support channel, and the drives were available on a global scale. The 950 Pro was an instant success. More recently, the Samsung 950 has been superseded by the 960 Pro. Available in capacities up to 2TB, it is the fastest consumer-level NVMe M.2 drive on the market. Needless to say, M.2 has become the enthusiast’s preferred interface for high-speed storage. It’s not all smooth sailing, though, because even the Samsung 960 Pro runs hot when faced with certain workloads; the inevitable side-effect of dissipating lots of heat into the small, M.2 footprint. If the 960 is anything to go by, thermal management is going to be an issue we need to deal with for the foreseeable future. 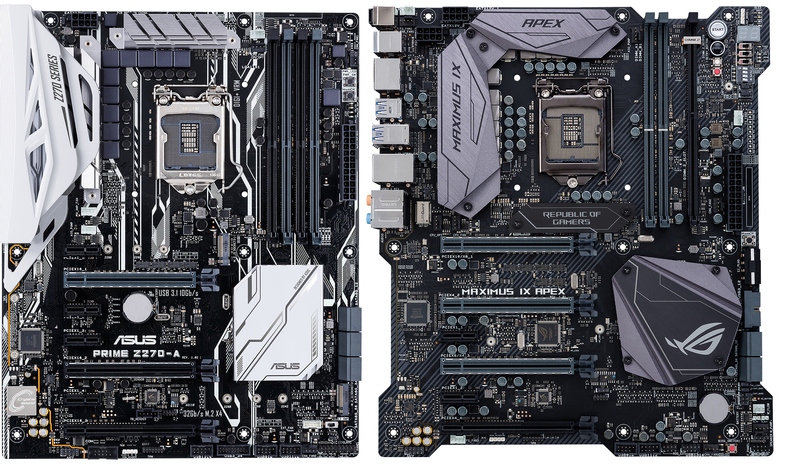 That’s why we reassessed location of M.2 slots on the ASUS Z270 series motherboards. Unlike their Z170 counterparts that featured a single M.2 slot, the Z270 boards have two. Where possible, we’ve repositioned the slots to avoid hot zones, and, where necessary, we’ve developed solutions to help keep drives cool, such as heatsinks, and 3D-printable fan mounts. Together, these enhancements enable drives to deliver consistent performance and aid their longevity. Providing users with all the “knobs and switches” necessary to overclock a platform has always been a focal part of the ASUS motherboard series. All of our Z270 boards include manual and automated overclocking options in firmware and software that are suitable for beginners and advanced users alike. For newcomers, our automated 5-Way Optimization software intelligently tunes system performance by running stress tests and gradually applying changes to multiplier ratios and voltages to provide an overclock that is uniquely tailored for your system. Cooling profiles are also tuned as part of the 5-Way optimization process, with each system fan receiving a custom speed-curve based upon its location and characteristics. There’s an evolutionary tale for overclocking enthusiasts, too. 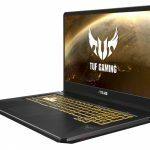 The ASUS Thermal Control Tool software detailed in this article from June last year, has been coded into the ASUS Z270-series UEFI. This allows us to configure two CPU core frequency targets directly from firmware; one for light-load applications, such as games, the other, for more stringent loads. Both overclock targets can be assigned separate voltage levels and temperature targets, so we can run our games and light-load applications at higher frequencies than workloads that generate more heat. The feature works by monitoring temperature and applying the user-configured voltages and multiplier ratios when the defined thermal thresholds are breached. We’ve managed to overclock our CPUs an extra 200~300 MHz higher for light-load applications using this method. It’s fiendishly simple, yet remarkably effective. For many of us, it’s the open platform nature of PCs that makes DIY appealing. Hundreds of manufacturers are involved in producing components and peripherals, giving consumers a huge amount of choice when putting together a system. However, this freedom is not without its downsides. 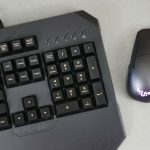 To add some context, PC components and peripherals have to meet certain standards to work with one another. Basic compatibility aside, it’s up to the manufacturer how a device looks, and what its unique features are. Competition is fierce, so manufacturers will do everything possible to make their products stand out from the crowd. The inevitable outcome to this one-upmanship is a scattered industry, with little in the way of visual synergy between devices. I’ve seen companies release components and peripherals that look fantastic in their own right, but you can’t build a cohesive looking system around them because products from other manufacturers don’t aesthetically match. 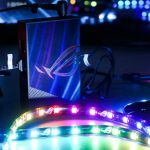 At ASUS, we’re in a unique position in that we provide the most comprehensive ecosystem of PC components in the industry; producing motherboards, graphics cards, keyboards, mice, monitors, headsets, and sound cards. It has taken years to develop all of these products to the extent that they’re successful within their respective segments. Now that they are, the next milestone is to tie everything together at a deeper level to enhance the user experience. Given one of the irksome issues for PC builders is finding components that aesthetically match, it makes obvious sense for us to help by ensuring the products we develop in-house have visual synergy. 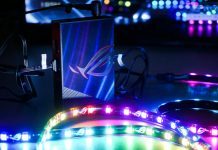 The ASUS 200-series continues the process of refinement, featuring a more synergistic color palette and design cues that are tactfully accented by onboard RGB lighting. All ATX size boards include two 5050 RGB headers, each capable of powering a light strip up to 2 meters in length. Control over lighting is provided by our Aura Sync software, which grants access to hundreds of colors and a multitude of effects. There’s even the option to display CPU temperatures as colors, giving Aura functional as well as visual appeal. Attached RGB strips and the onboard lighting can be configured to display independent colors and effects, or work in tandem. And it can all be teamed with ASUS Aura Sync compatible graphics cards and peripherals to create a coordinated aesthetic theme. To give you more choice, we’re also working closely with third-party manufacturers to expand the Aura eco-system, so that users can harmonize the appearance of their entire build. 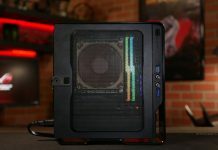 Aura Sync ready chassis from Deep Cool, NZXT, and the 805 Infinity from InWin are already available, and now, acclaimed memory-vendor GSkill joins the stable with Trident Z RGB memory. 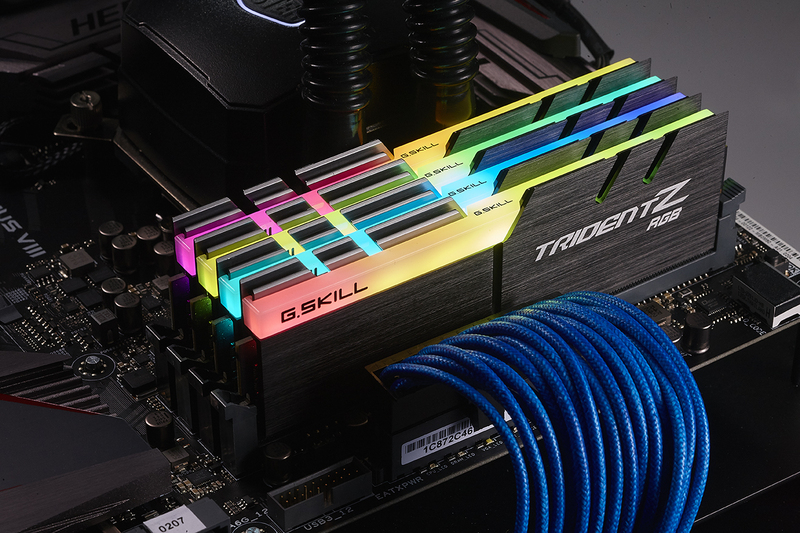 GSkill isn’t the only memory vendor getting in on the action; we’re also working closely with Avexir, Corsair, and Kingston, who are readying a range of memory kits that we should see in the retail channel, shortly. For users that prefer understated, don’t fret; the RGB lighting features of all Aura components can be turned off completely. To be honest, the neutral color themes being employed on these products look great even without illumination. You’ll probably appreciate that comment more if you’ve been following the PC industry for a few years. It wasn’t that long ago when color palettes that are best described as “clowns gone wild” were forced upon us. Today, we’ve got options that allow you to define whether a system’s appearance is lucid, or subtle. The choice is yours. 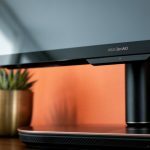 With neutral color schemes and RGB lighting options enjoying success in the marketplace, giving users the means to physically modify a system, whether for function or form, should be the next milestone. Thanks to 3D-printing technology, it is now possible. Some of the new motherboards include dedicated mounting points for 3D printable parts, and we’re providing source files that users can download and print using an online 3D-printing service or their own printer. 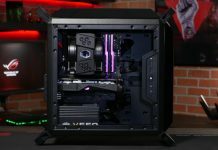 Downloadable files include IO shrouds, nameplates, cable covers, cable combs, SLI bridge covers, and even an M.2 fan mount to help keep drives cool. To help get you started, there’s a dedicated section for 3D-printing on the ROG forums where you can provide feedback and share knowledge, and we’ve created a tutorial that teaches you how to personalize the parts with your own logo by using CAD software. Enjoy! 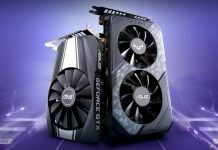 Over the past few years, the weight of graphics cards has increased significantly. The additional burden comes from two antagonists; bulky cooling, and metal backplates. Both are a necessity. The former, to facilitate higher GPU clock speeds while keeping fan noise at acceptable levels, the latter, to stop the graphics card’s own PCB from buckling due to weight. Unfortunately, this weight hike also has implications for PCI Express slots. When fully built systems are shipped or moved from one location to another, rough handling can lead to PCI Express slots splitting, and in some cases, connectors being torn away from the motherboard. Enter SafeSlot, a reinforced expansion slot that is designed to withstand the feisty mitts of hasty system builders, and the rigors of transportation. SafeSlot uses an insert molding process to brace the exterior walls of the PCI Express connector with steel plates, and utilizes additional solder points to anchor the slot firmly to the motherboard. These enhancements lead to SafeSlot being capable of handling more force across all three axes than competing solutions from other manufacturers. 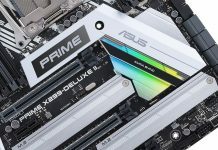 All ATX and micro-ATX sized motherboards featured in this article have two SafeSlots, and even the mini-ITX Strix Z270I’s lone PCI Express connector is at full SafeSlot spec. With the lengthy preamble out of the way, it’s time to take a look at the boards. You can check out the table below for a run down of each board’s vital specs. Scroll horizontally to view all of the motherboards. Head to page two for a full run down of each board.